Empire’s Crossroads provides a broad survey of modern Caribbean history, with a pleasing level of detail. Gibson zooms in to tell stories about the people and places of the Caribbean, but also guides the reader in making thematic connections across the region. She also places the Caribbean’s traumatic past in context. As she notes at the outset, the modern Caribbean (from 1492 onwards) is the product of an encounter between Europeans and other peoples. A Parcel of Ribbons contains an extraordinary collection of letters, spanning over fifty years, together with Anne Powers’ editorial commentary. The Lee letters were preserved by Robert Cooper Lee, a child sailor who left England for Jamaica with a parcel of ribbons to sell in 1749. He returned to England 22 years later a very wealthy man, having made his fortune as an attorney. The letters touch upon personal, family, business and political matters. Together with Powers’ commentary, they provide wide-ranging insights into the social, cultural and business history of Jamaica and England in the eighteenth century. The letters are held privately, but with their publication in this book, they comprise a valuable primary resource, now available to researchers. It was a great pleasure to attend the launch of Dr Tanya Evans’ latest book today at the beautiful Mitchell Library in Sydney, Fractured Families: Life on the Margins in Colonial New South Wales, published by UNSW Press. As Sydney City Historian Dr Lisa Murray said in her ‘launch’ speech, Fractured Families contributes not only to the history of Sydney and colonial New South Wales, but also to the history of the family, and to the practice of public history and family history. I read Fractured Families as soon as it hit the shelves, and enjoyed it immensely. * The book evolved from Evans’ research on Australia’s first charity, the Benevolent Society, and her collaboration with family historians who have researched the lives of their ancestors in the Society’s archives in the Mitchell Library. Evans has uncovered the life stories of men and women at different ends of the social spectrum from the late 18th century to the turn of the 20th. 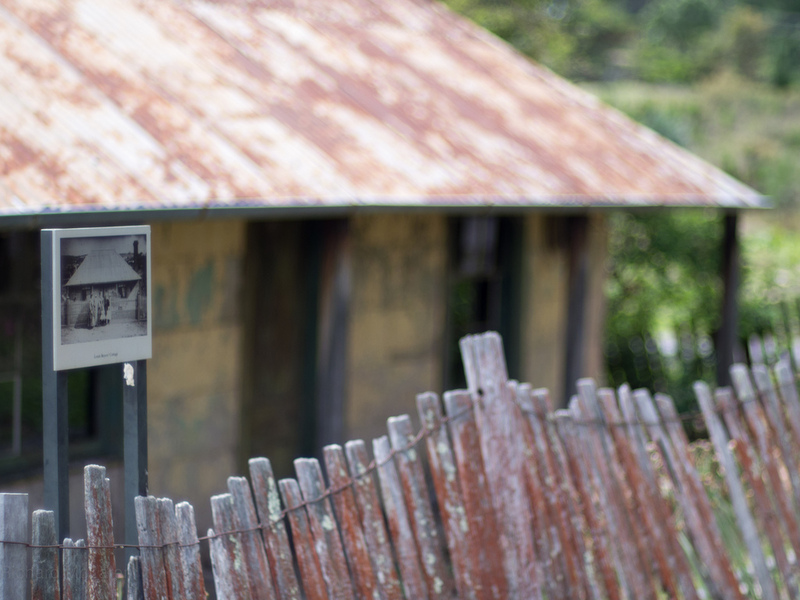 As well as detailing some fascinating (and sad) life stories, Evans delves into the practice and methods of family history research, and asks questions about how and why these varied individuals are remembered in Australia today. The book is written in an accessible, conversational style and ably combines story-telling with academic commentary, and discussions about research methods. There was much talk at the launch of the role of family historians—how they can make history more exciting and accessible, and, as Dr Evans noted in her speech, the value of collaboration between academic and family historians in revealing untold stories. (I’ve already benefited from the hard graft of generous family historians in my fledgling PhD research.) Fractured Families illustrates the role family historians can play in continuing the work of the original social historians: that is, to retrieve the marginalised of the past from obscurity. One of the speakers at the launch was Max Carrick, who described researching his ancestry in the Benevolent Society’s archives, and his collaboration with Evans. His gratitude for her inclusion of his ancestor in the book was heartfelt. I’ve rated Fractured Families 5 stars on Goodreads (for what that’s worth!) & highly recommend it to academics and everyday historians alike. *Dr Evans taught me during my MRes at Macquarie Uni, and is the associate supervisor on my PhD. I’m a great admirer of her academic work, and share her interest in public, family and social history. Archive envy. 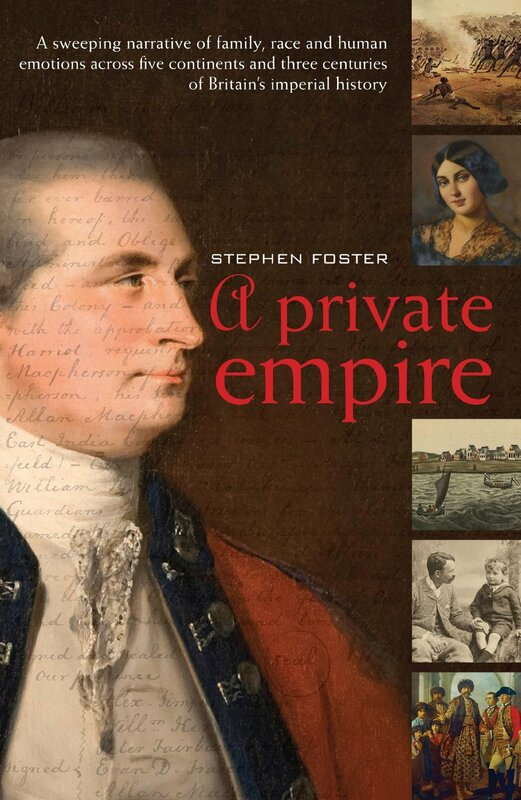 A Private Empire by Stephen Foster. With access to the family’s letters and diaries, as well as account books, legal documents and more, Foster takes the reader behind the scenes of the Macphersons’ imperial lives, so that as well as learning about the careers of the leading men of each generation, we gain an insight into how those men felt about their careers, and their families, and the imperial spaces they inhabited—in the West Indies, India and colonial Australia. It is this private sense of empire which so drew me to the book. We see, for example, the frustration of Allan Macpherson as he fails time and again to obtain the promotions he seeks within the East India Company in the 1770s; and the similar sense of frustration his grandson Allan endured as he tried to establish himself as a pastoralist in colonial New South Wales one hundred years later. Foster also managed to elucidate the lives of the women of the family, many of whom led extraordinary lives, criss-crossing the empire. My favourite narrative which winds its way through the book is that of William Macpherson’s first family—with the slave woman ‘Countess’—founded in Berbice, British Guiana at the dawn of the nineteenth century. I will say no more for fear of spoiling the story for future readers! The book, published by Pier 9, is beautifully produced. It’s available on Kindle, but the contemporary paintings and photographs reproduced throughout make it worthwhile tracking down the hard-copy book itself. According to the judge’s report for the 2011 Victorian Premier’s Literary Awards (for which the book was shortlisted), “underlying A Private Empire is substantial research – in Britain, Australia, India and America – and Foster weaves the primary source material through his narrative to masterly effect.” I couldn’t agree more. Since submitting my thesis in mid-October, I’ve slowly unwound with lots of walking, swimming, talking, reading and a little bit of TV watching (Homeland, series 4, only so-so). All that, plus my usual stay-at-home Mum commitments. I have a long list of books to read, but the two stand-outs have been The Wife Drought, by Annabel Crabb, and Walking Free, by Munjed al Muderis. I haven’t branched out into fiction yet! The Wife Drought was reviewed masterfully for The Monthly by Anne Manne: http://www.themonthly.com.au/issue/2014/november/1414760400/anne-manne/wife-and-times Writing in her usual engaging, insightful style, Crabb could have been writing about myself and many of my friends. She covered so many of our experiences that it was by turns depressing, hilarious and liberating. She argues that things need to change not just for women but for men. In the realm of those who desire both a career and a family, men are missing out just as much as women are. We also need to lose the guilt! Read the book for the laughs, but also for the suggestions about how as a society, we might start to influence the way life for our children looks. Al Muderis’ book was deeply absorbing. It is the biography of an Iraqi-Australian, now a world-leading orthopaedic surgeon, specialising in osseointegration (bionic people, essentially: http://www.almuderis.com.au/osseointegration). The book is written in a conversational style, tracing Al Muderis’ journey from war-torn Iraq in 1999 to Australia, as a ‘boat person,’ or asylum seeker. I was fascinated by the depiction of his comfortable, secular upbringing in the leafy, cosmopolitan city of Baghdad of the 1970s and 80s. His flight from Iraq began when he refused to follow Saddam’s orders to mutilate army deserters. The story of his journey to Australia is eye-opening, and possibly provides more detail about the operations of the so-called people smugglers than is known to date. Al Muderis is scathing of many of his fellow-refugees, and reminds us of the shades of grey which emerge from war-zones, but also the potential which immigrants bring. I must mention the wonderful cameo appearance in the book of Magistrate Antoine Bloeman, a lively figure in my own childhood. Al Muderis was left bemused by his court appearance before Bloeman, but Bloeman has done many great things in his time – he would be a worthy subject of a biography or memoir of his own! To find out more, read the book. It’s a quick, but thoroughly illuminating read that will stay with you.